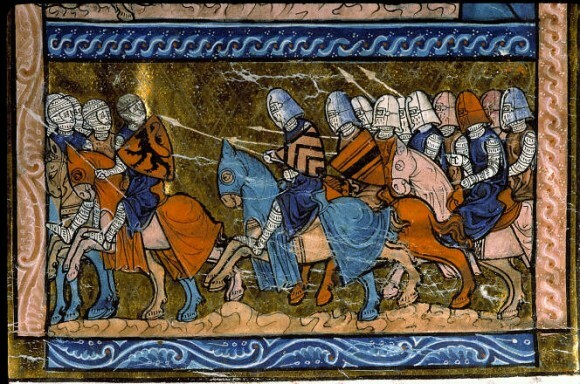 Although the importance of the horse in the medieval European civilization is known and recognized, given it’s central function in the definition of the identity of the dominant classes and the prominent role that the cavalry held in the military until at least the fourteenth century, we unfortunately know little about the equestrian practices in the period from the classical era to the Renaissance. 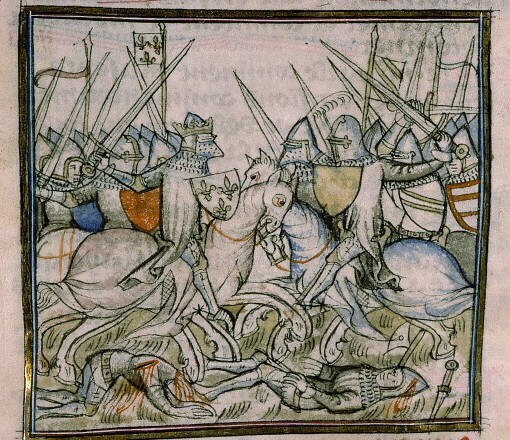 The so-called chivalric literature and chronicles handed down to us by memory, are often cloaked in the misty aura of myth, of innumerable deeds accomplished on horseback, but telling us little or nothing about how medieval knights rode their steeds and how they were tamed, trained and cared for. 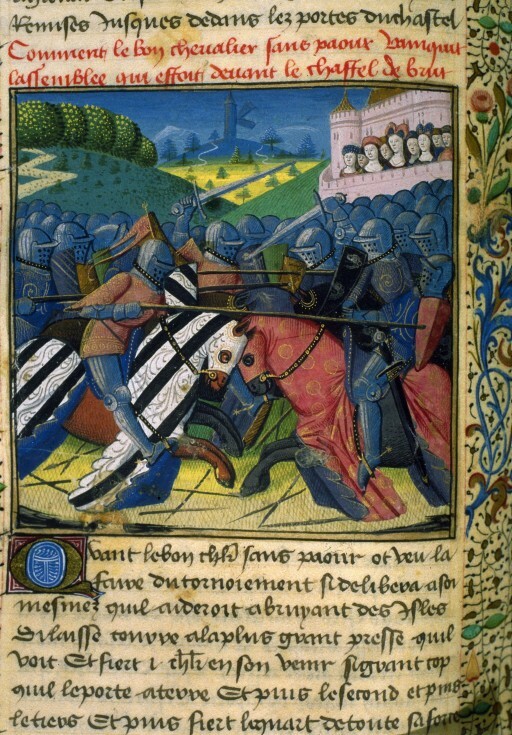 Yet, as noted by the French historian Nicolas Thouroude (Thouroude, 2007), at least with regard to the late medieval age documents, there is evidence of the existence of a ludic equitation which provided a refined training of the horse. This type of riding found it’s expression in tournaments and jousts which were to celebrate various events involving court rituals and real shows, in addition to combat, in which horses always had a leading role. The equestrian education of the young nobles was indeed considered essential. 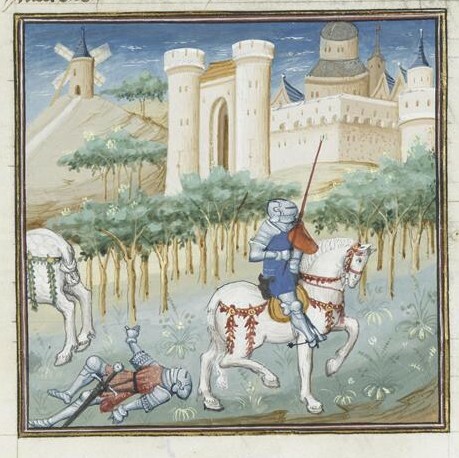 Ramon Llull in his Livre de l’ordre de chevalerie (1274-1276) recommended that gentlemen insist on instruction for their children on how to ride horses in their very early years, and that during their education, they should also be taught how to care for the animal. In medieval times, we do not find texts which deal specifically with riding techniques. The theme of the care and breeding of the horse is often discussed in encyclopedic works, such as Geopónica (overall work about agronomy, compiled in Constantinople under the Emperor Constantine VII Porphyrogenitus, in the tenth century), or in the Liber de animalibus by Albert the Great (1206-1280), De rerum proprietatibus by Bartholomew de Glanville, called the English (XIII c.), or the Ruralium Commodorum libri XII (1304) by Pietro de’ Crescenzi (COCO – Gualdo, 2008). In this framework, there is a particular importance given to the treatise by Jordanus Rufus of Calabria, miles in marestalla (that is to say an officer of the second order in the imperial stud farm) in the court of Frederick II. Born around 1200, in Gerace or Monteleone di Calabria, he wrote a work transmitted through a manuscript tradition under various titles Mariscalcia equorum, Liber de curis equorum, Cyrurgia equorum (Ruffo, 1999 e 2002). The text was certainly written in Latin, although there are different versions in the various languages: Tuscan, Sicilian, Catalan, Provençal, French and also in German. A Hebrew version has also been identified, which testifies to it’s widespread diffusion. The work is divided into six parts. The first four books are about breeding, feeding, reproduction, hygiene, taming and training, bits and shoeing, and the physical structure of the horse. The last two are devoted to describing diseases, which are divided into natural (Book V), and accidental (Book VI). It is to the latter that the bulk of the text is devoted: fifty-nine chapters, covering various diseases and their treatment. 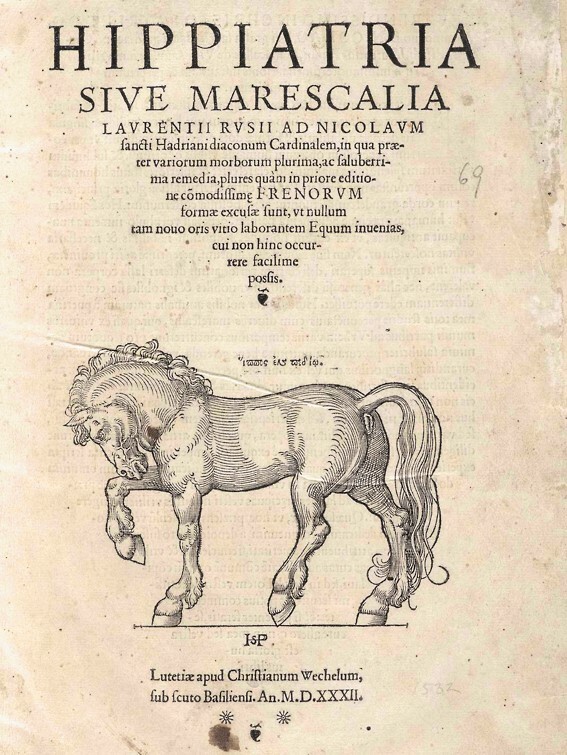 The chapters devoted to taming and training are quite basic, but they give an idea of the equestrian practices of the time and contain precepts that will be found again in later works (some of which are still in use today). Rufus recommends to keep the horse tethered in the stable, in order to prevent him from hurting his limbs, and to prepare for the night, a straw litter up to his knees. There are also dietetic prescriptions to keep the horse neither too thin, nor too fat. It is also suggested to water him with turbid water, because it is considered more “nutritious” («ideoque efficientur equorum corporibus nutribiliores refectiores ad plenum»). The author advises against riding in the evening because, in the cooler hours of the night, it is more difficult for the sweat dry completely before the animal is brought back to the stable. Similarly, he warns against riding in the hottest months of summer, or in the coldest of winter. Shoeing must be done with light steel horseshoes, but he recommends not to shoe the horse when he is too young, in order to avoid damaging his hooves. At the beginning of the training, Rufus recommends to use the lightest bit possible («frenum debile et levius»), making sure to smear it with honey or some other sweet syrup, to make it more pleasant to the horse. Once harnessed, the horse must be led by hand by a groom until he has learned to follow him obediently. Only then he can be mounted, without saddle or spurs, and accustomed to turn to the left and to the right. After about a month he can be mounted with the saddle and trained gradually to trot on plowed soil, so that he learns to raise his feet well. It is also recommended to train him to turn especially to the right because, it is said, horses naturally tend to turn more easily to the left («quod equus est naturaliter pronior a sinistris»). Once trained to trot, the horse can be ridden at the canter, but keeping a collected gait («in minore et breviore saltu») and only for short distances, to avoid tiring him. He also recommends, both at the trot and at the canter, to keep contact with the bit, and to bend progressively the horse’s neck, in order to control him better and to let him see where he places his hooves. To accustom him to noise and to crowds, Rufus suggests to often ride the horse inside the city, especially in noisy places (for example, near the forges of the blacksmiths), taking care not to punish him if he is initially scared and unwilling, rather gently encouraging him («blandendo ducatur»), in order to prevent that he will later associate noise and movement with punishment,. Nevertheless, there are also suggestions that today make us shudder. According to Rufus, when the horse has attained his full adult dentition, his four canine teeth (scaglioni) must be pulled out, because they are considered adverse to the mouthpiece («a pluribus nuncupantur freni morsui continui adversantes»). According to the author, this operation would also have the advantage of keeping the horse from getting too fat and, if he is wild, to appease his ardent character. The bit to be used with the colt is the one that, in later periods, will be called “cannon”, consisting of two transversal bars and one in width «ad duas barras extransverso et una per longum composita est»). The author then mentions other stronger bits, with twisted or grooved mouthpieces, or with a shovel that acts on the palate, but he advises not to use them because he considers them too strong and, for this reason, he does not give much attention to them. He stresses that, once the right mouthpiece for the sensibility of the animal is found, it must not be changed with others of different shape, so as to not ruin the horse’s mouth. The horse must be trained to stop and to respect the bit before working him at a faster pace. The canter must be practiced progressively for longer distances, without abuse, to prevent the horse from getting too tired and becoming resistant. Similarly, he must be urged forward frequently to avoid that he becomes lazy. 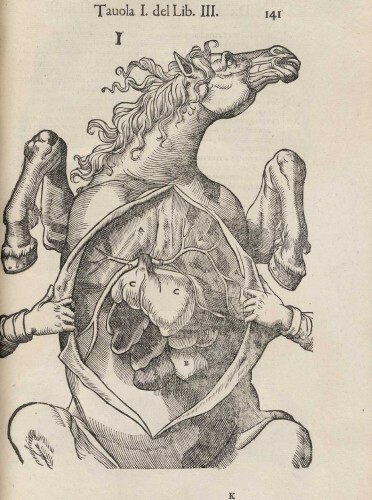 Rufus’s text had a wide diffusion and has had considerable influence on the chapters devoted to the cure of the horse by Pietro de’ Crescenzi and on the subsequent treatises about the art of farriery1 by Lorenzo Rusio (about 1340) and by the Florentine Dino Dini (1352-1359), up to the Anatomia del cavallo infermita et suoi rimedii ((Anatomy of the horse his infirmity et remedies, 1598), the work of the Renaissance precursor of veterinary medicine Carlo Ruini. 1 It’s important to notice that, at the time, the farrier was not only the horseshoer, but also the veterinarian. I wonder if any of these mentioned works are available today in English? Thank you Gury for your interest. I don’t think that the work by Jordanus Rufus of Calabria has ever been translated into English. But you may find an English translation of The Book of the Order of Chivalry, by Ramon Llull, following this link: http://www.rgle.org.uk/Llull_B_C.htm. You may also find it in printed edition, or e-book: http://www.amazon.com/s/ref=nb_sb_noss?url=search-alias%3Daps&field-keywords=The%20Book%20of%20the%20Order%20of%20Chivalry. Thank you again, and keep on following my blog. Ciao! Federico Grisone’s work has been translated by Elizabeth Tobey of the US, and will be available in print in 2014 (hopefully). Cercavo “l’equitazione nel Medioevo” di Giordano Ruffo di Calabria (non “Le opere di cavalleria” di Tomassini). è ancora reperibile in qualche modo? The English edition of the book will be published nex year in the US, by Xenophon Press (http://shop.xenophonpress.com/). Would a castle blacksmith be able to ride a horse? this is not an easy question. 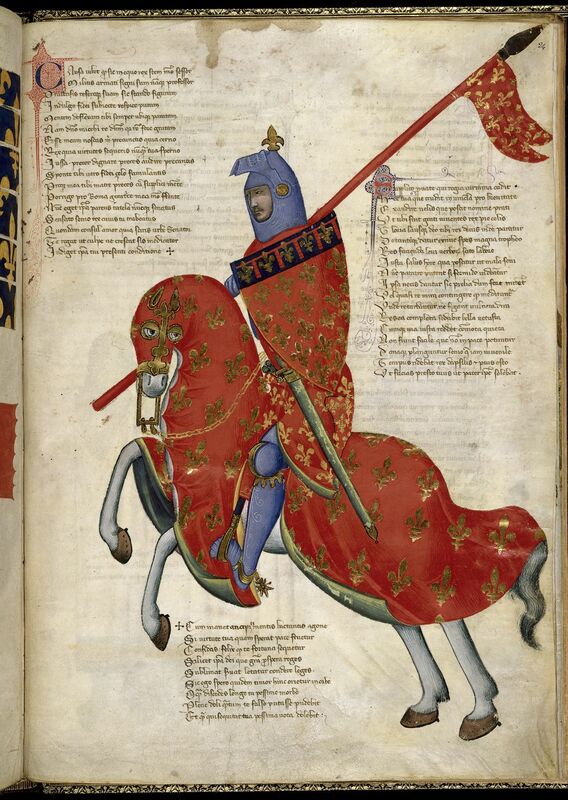 In general, we can say that it is not unlikely that a medieval blacksmith may knew how to ride, however, it is rather difficult that he could possess his own saddlehorse. These were predominantly owned by the nobles, who could grant them in use at non-noble origin knights, but always for military purposes. Anyway it is probable that a blacksmith had to do with horses, as many blacksmiths were also farriers. In the past, this latter did not only shoe horses, but often they treated them, with empirical and sometimes almost magic methods. They were in fact the first veterinarians (but veterinary science on a scientific base actually begin in the late eighteenth century). If you are interested in the subject, you can probably find more precise information in this book, which presents the medieval findings from excavations in London: John Clark, The Medieval Horse and its Equipment, c.1150-1450, London, Boydell Press, 2011. Thank you very much for your interest and appreciation.